iLANDing Workshops to celebrate the launch of iLAND’s first BOOK! iLAND is thrilled to announce the imminent publication of the A Field Guide to iLANDing – scores for researching urban ecologies, which will be published by the inimitable 53rd State Press. [Read more…] about iLANDing Workshops to celebrate the launch of iLAND’s first BOOK! This is a wonderful event. Please join our friends at this revival of SEEDS in celebration of Earthdance’s 30th Anniversary! Visit www.earthdance.net for more information. 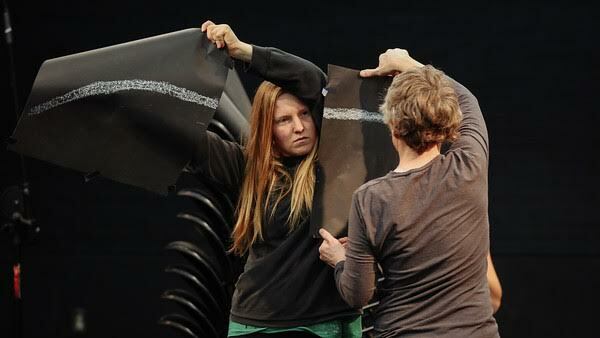 Sign up for Jennifer Monson’s MELT workshop July 25–29 hosted through Movement Research. Join us for a public engagement during the development of in tow as part of Vermont Performance Lab’s Open Lab. Join us for an informal, work-in-progress showing of Jennifer Monson’s most recent collaboration, in tow. Join iLAND in reflecting on reflecting during this time of year, and consider supporting iLAND with an end of year gift. 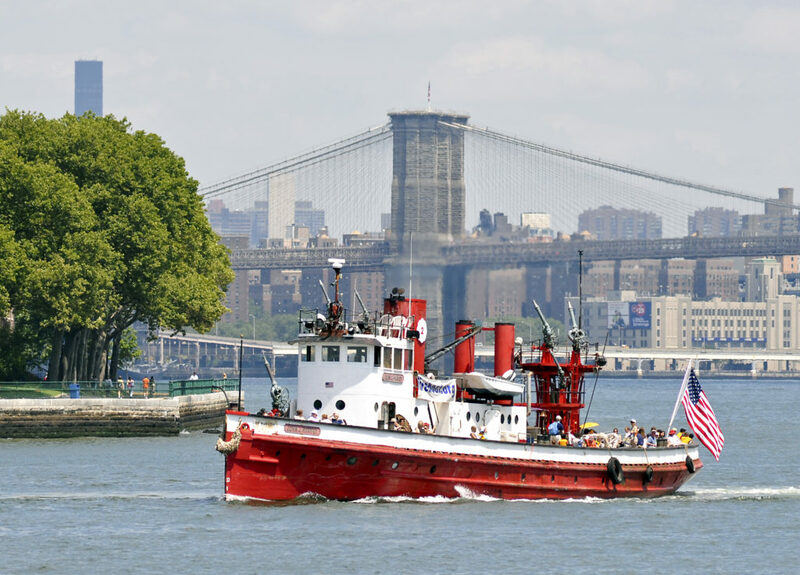 Join our friends at the Waterfront Alliance for the ONE°15 Brooklyn Marina Parade of Boats! 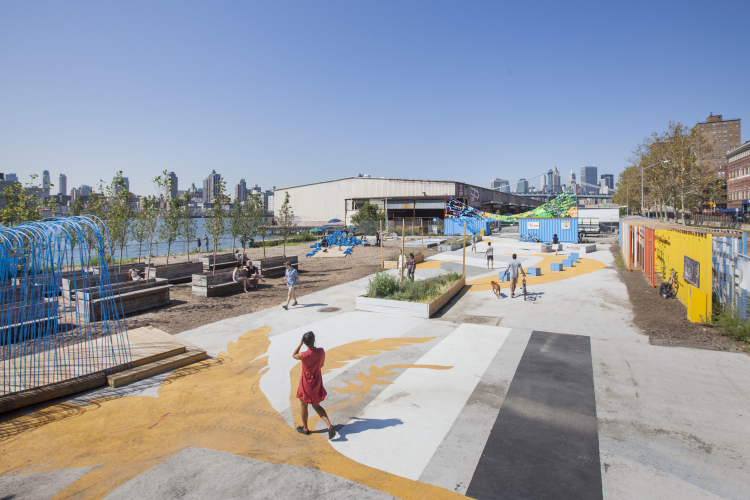 The 2015 iLAB Residency groups, Water & Im/migration and The Urban Backstage, invite you to Pier 42 on Saturday, July 18th, to join in the Paths to Pier 42: Summer Waterfront Celebration and City of Water Day. As part of the Waterfront Alliance’s larger City of Water Day celebration, Paths to Pier 42 will host an afternoon of family-friendly activities including the iLAND events listed below. The first of three linked walking and talking performances about the city and its relationship to water. Visit the place where Collect Pond used to be, and imagine the city when it was the primary source of fresh drinking water and a place of leisure and escape. The second of three linked walking and talking performances: walk the trail of the former Old Wreck Brook from Foley Square to the East River exploring the links between natural and engineered water systems. Enjoy arts activities for all ages, including a calligraphy workshop, a choral performance by members of the Open Door Senior Citizen Center, and movement sharing to explore the themes of Water and Immigration (for ages 7 and older). 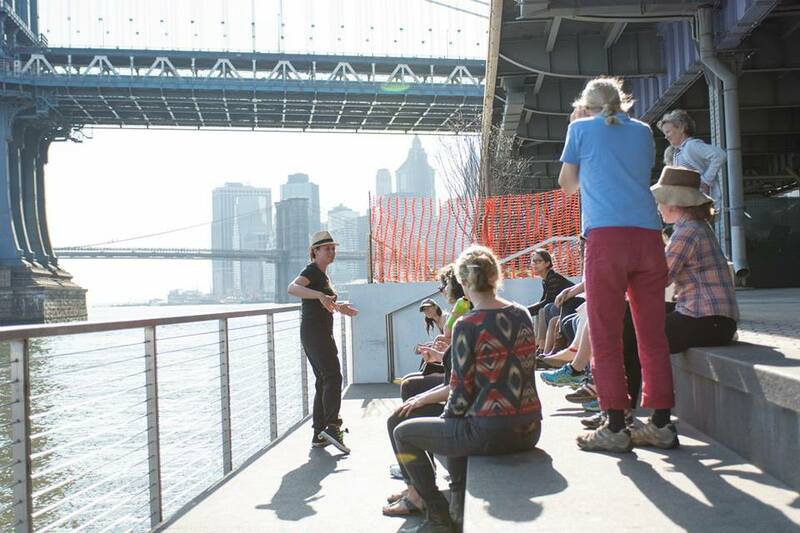 The last of three walking and talking performances: travel from Pier 42 to the East River Amphitheater where ideas about what’s hidden–under our city, and in ourselves–take to the stage. You are invited to help kick off the 3rd and final season of Paths to Pier 42 programming at the Spring Waterfront Celebration. 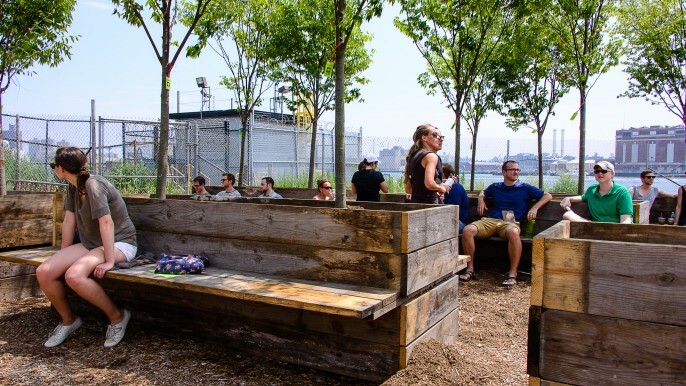 Enjoy Spring on the East River Waterfront, pack a picnic, and participate in activities with the 2015 artist and designers. Free! All are welcome! Which spaces in the city allow us to remove our masks, to make mistakes, to expose [or hide] things, thoughts and actions that may not be allowed elsewhere? What else lies behind the scenes? Join a walking and talking exploration of the waterfront where we will look at connections between the personal and the communal, and the informal and formal through space and language. 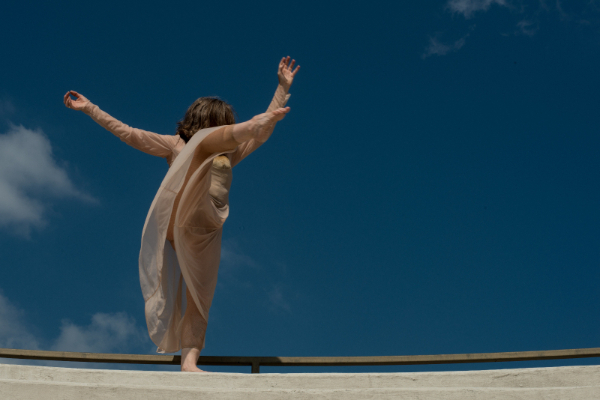 Time: Walks depart from the Pier 42 welcome tent at 1pm and 3pm and last up to one hour. Artists: Julie Kline, Elliott Maltby, Clarinda Mac Low, Jeremy Pickard, Shawn Shaffner, Rachel Stevens. 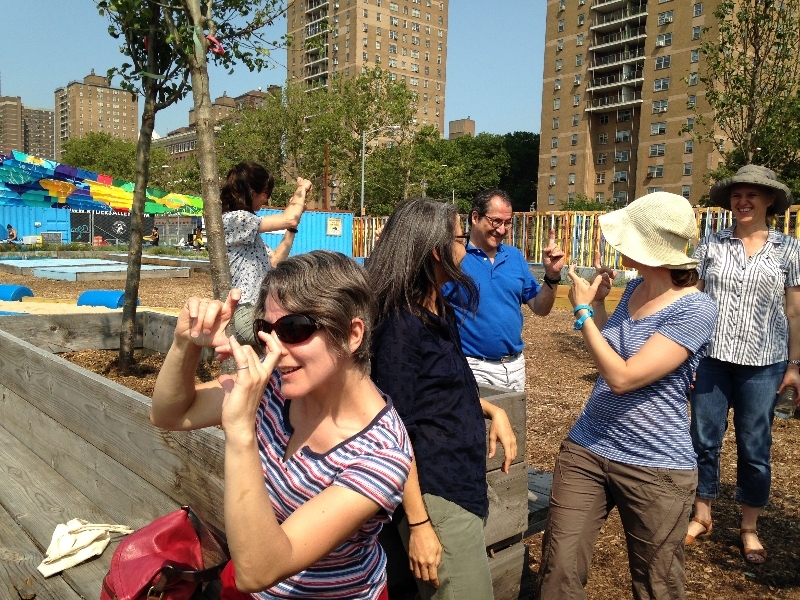 The Urban Backstage activities are part of iLAB East River. All day activities: Drawing activity with Fish Stories Community Cookbook project, a touch tank to explore river ecology by Lower East Side Ecology Center, family-friendly science experiments with Two Bridges Neighborhood Council, BioBus mobile science lab, a mobile wifi-tower demonstration by Wifi-NY, and composting lessons just upriver by LESEC and OpenBin NYC. On Sunday February 22 participants will explore terrain that “Hal” the 2006 New York City coyote occupied during his stay in Manhattan. Working with the input of an expert, we will mimic the path that a resident coyote of Central Park (if there was one) might walk while considering the intersections of the urban and natural. Meet us at Central Park at 103rd Street and Central Park West, accessible via the B and C subway. On Thursday April 9 participants in the longer Coyote Walk invite you to join several short walking and movement exercises and to discuss the findings of their journey. As the workshop progresses, we will make our way north through Central Park. This session is formatted to accommodate mixed leadership and dialogue amongst the group. Please come with one story of an animal encounter (grand or banal). Meet us outside Hallett Nature Sanctuary in Central Park. We’ll be at the bottom of the stairs just inside the park, north of Central park South and 6th Ave.
Dillon de Give is an artist and educator acting in a spirit of humane experimentalism, staging subtle alterations to everyday performances such as walking or telling jokes. His work is based in research and social exchange. He has presented with The Elizabeth Foundation for the Arts, The Portland Art Museum, The Center for Urban Pedagogy, Proteus Gowanus, Flux Factory, Catch! Performance Series, Guapamacátaro (Michoacán, Mexico), and The Center for Contemporary Art Santa Fe, NM among others. Dillon is a co-founder of the Walk Exchange, a cooperative group that develops creative and educational group walks. His long-term Coyote Walk project investigates footpaths between the city and the wild. His recent publication Do I Know What I’m Doing? is a study of the intersection of liability insurance and socially engaged art. Dillon was a writer and Thinker in Residence for the Art in Odd Places Festival in 2014. He holds a BS in Film from Northwestern University and an MFA in Art and Social Practice from Portland State University. He lives, works and helps to raise a child in Brooklyn, NY. Zena Bibler creates dance structures that use the moving body as a means of experiencing diverse environments, phenomena, and modes of being. Much of her recent activity is centered on collaborations with the Movement Party (co-founded in 2010 with Katie Schetlick). 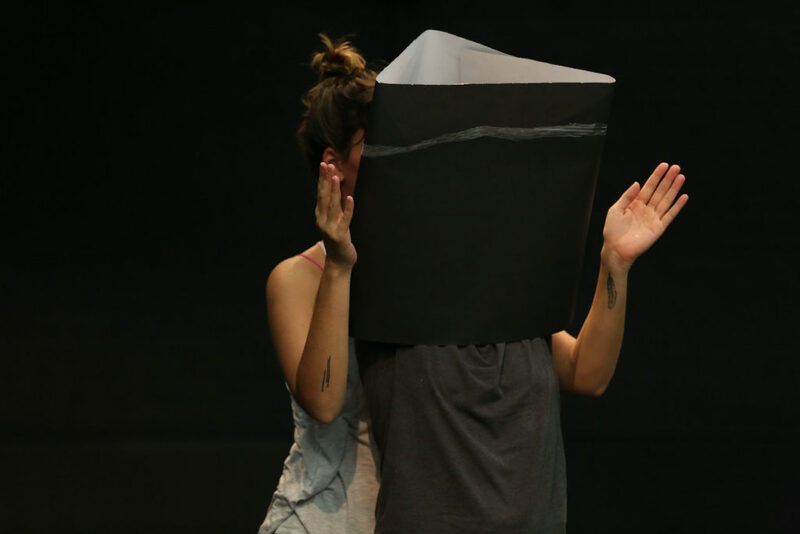 Her work has been presented at Movement Research, NADA Hudson, Gibney Dance Center, Dixon Place, Lublin International Dance Theatre Festival (Poland), Downtown Contemporary Arts Festival (Egypt), Museum Perron Oost (Netherlands), and Sesc Vila Mariana (Brazil). 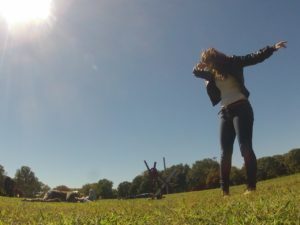 Her dance films have been featured in Dance Magazine, Dance Films Association, and Moviehouse Brooklyn, and have screened nationally and internationally. 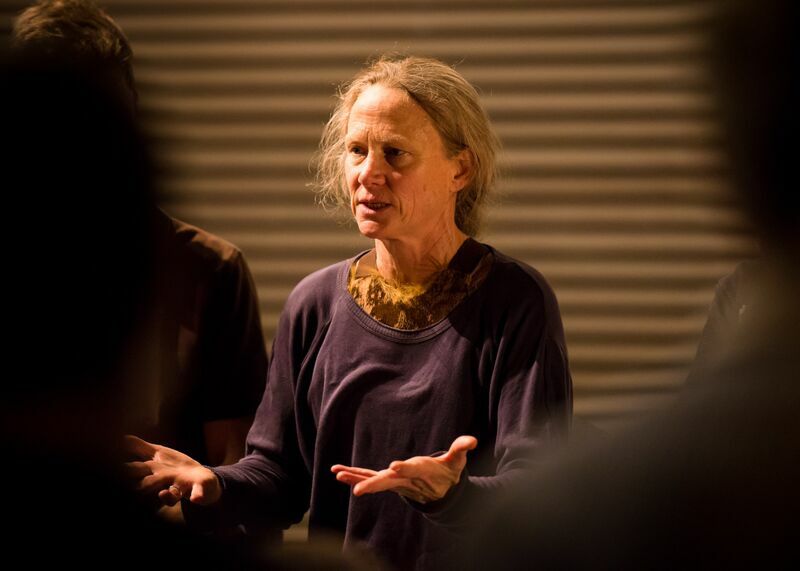 As a teaching artist, she has developed workshops in the areas of sensory attunement, improvisation, choreographic viewing, and integrated techniques for Fleet Moves Dance Festival, New York University, Yale University, University of Virginia, the Floating Library, and Studio 303 (Canada), among others. She has had the pleasure of dancing in the work of Katie Schetlick, Brandin Steffensen, Athena Kokoronis, Anne Zuerner, Steve Paxton, Mariangela Lopez, and the Movement Party. Juliette Spertus is an architect and co-founder of ClosedLoops, an infrastructure strategic planning and development firm. 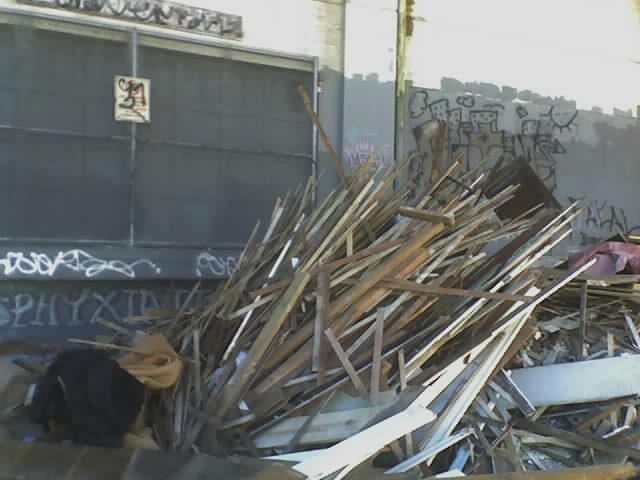 Her experience as a designer in Boston and New York inspired her to explore the integration of invisible support infrastructures, including the networks that bring goods and remove wastes, into urban design. In 2010, she created the exhibit Fast Trash: Roosevelt Island’s Pneumatic Tubes and the Future of Cities and the online resource fasttrash.org. 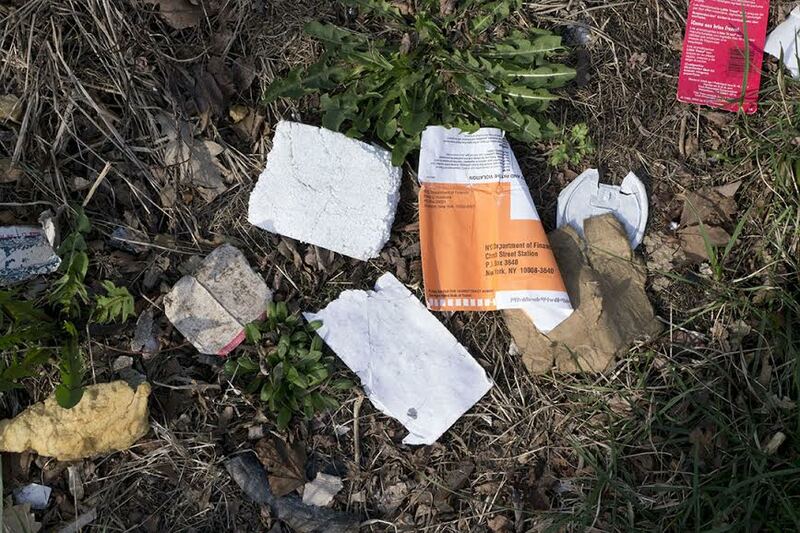 Fast Trash led to two NY state-funded studies on the costs and benefits of pneumatic waste collection in New York City, which she led with researchers from CUNY’s University Transportation Research Center. She has presented her research on waste and urban design in conferences, design studios, papers, and articles in the US and Europe. She received a BA in Art History from Williams College and an architecture degree from l’Ecole d’Architecture des Villes et des Territoires in Marne-la-Vallée, France. Katarina Jerinic’s photography, mixed-media projects, and public space-based installations respond to and intervene in built environments in order to draw attention to our interactions with surrounding spaces. 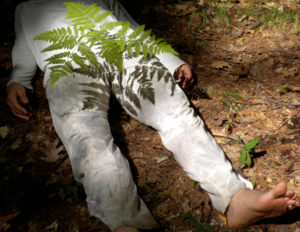 Jerinic has been a resident at MacDowell Colony, Peterborough, NH (2008); the Center for Book Arts, New York, NY (2010); Tokamak at Helsinki International Artist Program, Helsinki, Finland (2013); and the Experimental Television Center, Owego, NY (2003); and participated in the Bronx Museum of the Arts Artist in the Marketplace program (2005). 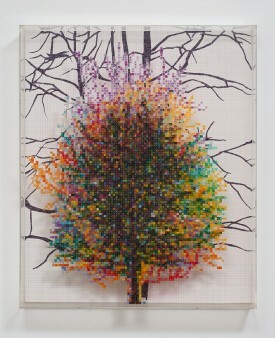 Her work has been included in exhibitions and programs at Storm King Art Center, Mountainville, NY (2014); Bronx Museum of the Arts, Bronx, NY (2006); Queens Museum of Art, Queens, NY (2009, 2010); Proteus Gowanus, Brooklyn, NY (2013); NurtureArt, Brooklyn, NY (2009); BRIC, Brooklyn, NY (2008, 2011, 2013, 2015); the Peekskill Project, Peekskill, NY (2012); the Conflux Festival, New York, NY (2010); Temple Gallery at Tyler School of Art, Philadelphia, PA (2011), as well as other spaces and places near and far. Jerinic’s collaborative, participatory project with Naomi Miller The Work Office (TWO), a re-interpretation of the Works Progress Administration (WPA) for New York City artists, has been awarded grants from the Black Rock Arts Foundation (2009), the Brooklyn Arts Council (2010), Chashama (2009), Lower Manhattan Cultural Council Swing Space (2010), and the Times Square Alliance (2011). She received her MFA from the School of Visual Arts and BA from American University in history. She lives and works in Brooklyn, NY. 2014 was a fruitful year for iLAND filled with new growth, sharing among the community, and fallow time. As we enter 2015 we reflect on highlights from our past year. 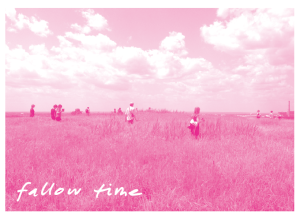 We relish in the fallow time that was created during theMovement Research Spring Festival/iLAND Symposium. There was talking, walking, poetry reading, dancing and listening to wild sounds of the night out at Floyd Bennet Field during two days of unstructured time. We were joined by the Thabiso Heccius Pule and Thami Manekehla from South Africa, who gave a stunning performance walk across the Brooklyn Bridge. There were various free workshops and open processes, a discussion/meal with Justine Lynch and Tom MaCauley ofMountain, a rambunctious night of performing at Issue Project Room, and more. Check out the Hadley Smith’s blog about the festival. This year iLAND initiated the iLANDing Laboratories as a vehicle to support continuations of the community’s interdisciplinary collaboration. From March through July, Laboratories such as kayaking to White Island in Jamaica Bay, stargazing in Inwood Park and a poetic walk across the Willis Ave bridge were offered. 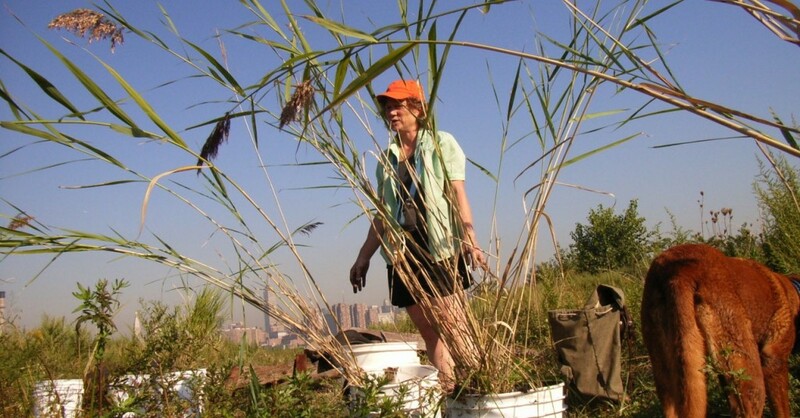 These workshops expanded the iLAND community and provided an opportunity for artists and scientists to develop ideas from past residencies in New York City’s urban ecology. This year Live Dancing Archive was remounted at New York Live Arts and The House is Open Exhibit at Bard College. Niall Jones, Tatyana Tenenbaum and Val Oliveiro joined the original cast and their generous creative contribution allowed for Live Dancing Archive to continue to evolve. Thanks to all of you joined the celebration and toast on opening night! If you missed it, check out the New York Times review and the Brooklyn Rail review. 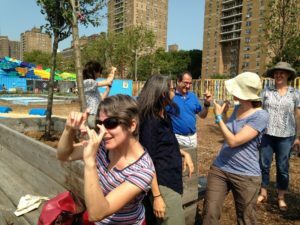 LAND partners with the Lower Manhattan Cultural Council to support three iLAB Residencies this year. 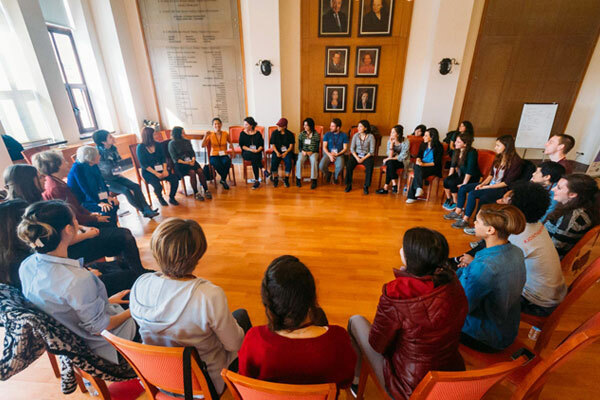 Last Summer we hosted three workshops that initiated this new program, which will engage interdisciplinary artists, activists, and local community members. 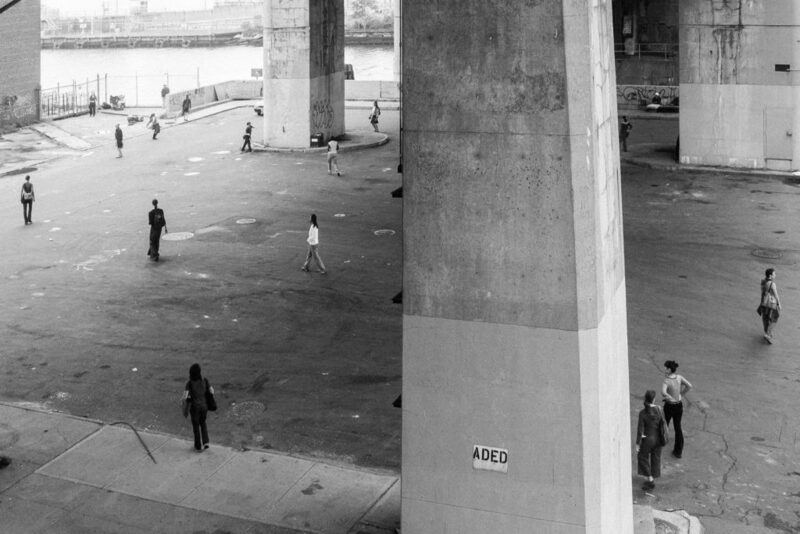 The project focuses on the East River Waterfront/Pier 42 and is generously supported by the Doris Duke Foundation’s Building Demand for Audiences grant. 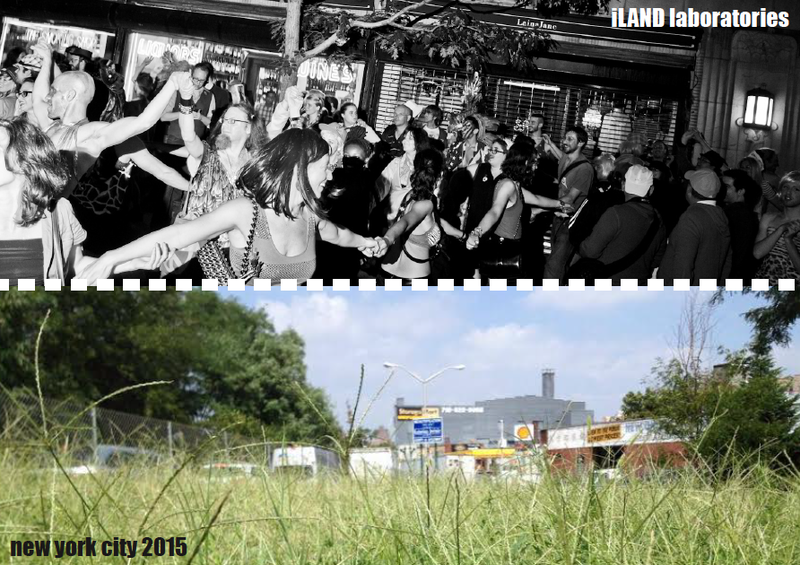 Please consider donating TODAY to support the future of iLAND! 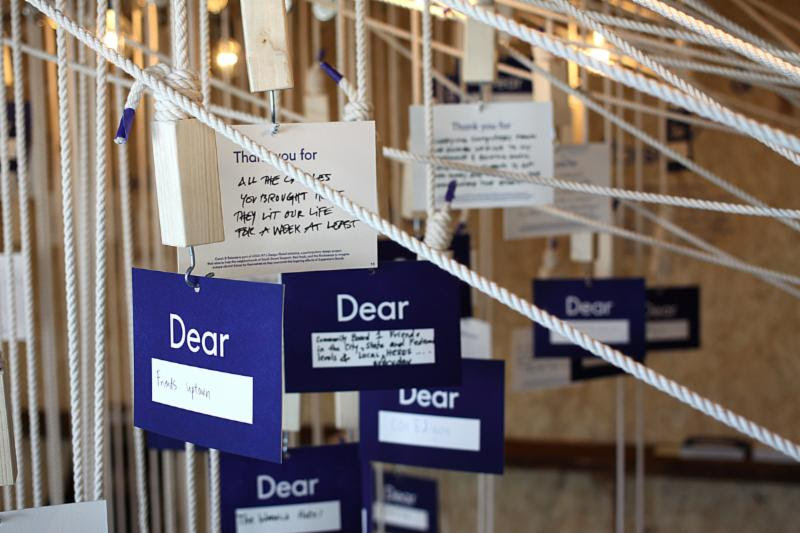 As the year comes to a close, we write to reflect on the past year and to look forward to 2015. It is the time of year when we reach out to ask for your support which will be directed towards iLAND’s various public programs. Please consider giving a contribution to bolster the future of interdisciplinary collaboration in New York City. Your support will sustain the eight iLANDing Laboratories scheduled for next Spring and Summer, the annual iLAND Symposium, and three iLAB Residencies that will activate areas along the East River (presented in partnership with the Lower Manhattan Cultural Council). 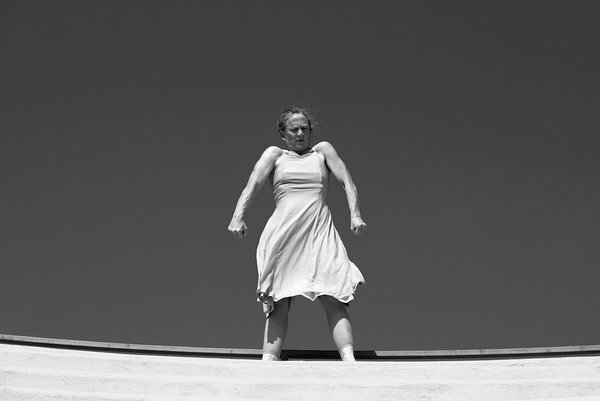 Jennifer Monson’s creative work will continue to develop through in tow – a new evening length work with DD Dorvillier, Zeena Parkins, David Zambrano, Susan Becker, Val Oliveiro, and Rose Kaczmarowski, that will have various residencies and performances throughout 2015 (including Rauschenberg at Captiva Island and Vermont Performance Lab). Click HERE to donate today and pledge your support! Thank you for the many ways you have shown support for us in the past. We look forward to seeing you at an iLAND event in the spring! This fall Jennifer Monson will perform Live Dancing Archive at Bard College as part of The House is Open, an inquisitive and playful pop-up exhibition that transforms the Fisher Center will be transformed into a temporary museum, hosting the work of major artists who are working at the fast-changing intersection of the performing and visual arts. 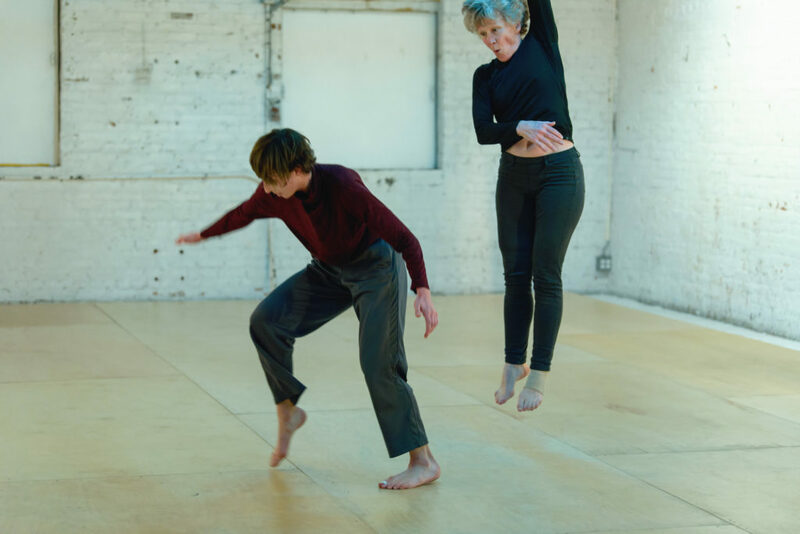 Jennifer Monson’s Live Dancing Archive is an evening-length performance featuring a visceral exploration of the dancing body as a physical archive of experience and place. Drawing from more than a decade of dance-based environmental research, Live Dancing Archive was choreographed using material from video documentation of the BIRD BRAIN Osprey Migration (2002)—an 8-week dance project along the Atlantic Flyway—as well as improvised scores accumulated over the past decade. Originally premiered at The Kitchen in 2012 as a solo, this newly remounted iteration will expand to feature three new collaborators, Niall Jones, TatyanaTenenbaum and Valerie Oliveiro along with Monson and composer Jeff Kolar, lighting designer Joe Levasseur and costume designer Susan Becker. The project is accompanied by a video installation by Robin Vachal and a digital archive by Josephine Young Jae Bae that query the process of archiving as well as the shifting nature of dance and environmental phenomena. On Saturday the Fisher Center Coach will be taking a group from New York City to Bard for a round trip fare of $20. Buy tickets for the bus HERE. Following the successful inaugural year of the iLANDing Laboratory Initiative, we are pleased to announce that the program will continue for a second year. The 2015 iLANDing Laboratories will continue in an experimental format as a series of workshops/laboratories designed by members of the iLAND community as well as those with a strong interest in proposing a Laboratory that aligns with iLAND’s mission and the values of iLANDing (for more information please see appendix below). The Laboratories will serve as focused forums and platforms for a reflective, advanced discourse around urban ecology, kinesthetic experience, and new approaches to interdisciplinary creative processes and draw on the history of iLAND programming which has been cultivated over the past eight years through the iLAB Residency program, iLAND Symposia, and the development of the iLANDing Method. This Request for Proposals is open to all past iLANDing Laboratory participants, iLAB Residents, iLAB applicants, Symposium participants and others with a strong interest in proposing a workshop that aligns with the values of iLAND. New combinations of collaborators are welcomed and encouraged. Past iLANDing Laboratory residents are welcome to reapply for continued support in order to deepen into the process of a previously presented workshop. Laboratories should take on the structure (forum, workshop, walk, charette, tour, discussion, performance, potluck, experiment) and duration (two hours, two days, a month of Sundays), which will best support the proposed investigation. Laboratories will take place between March-July 2015. Proposals must be submitted to info@ilandart.org by October 20, 2014. Please limit your proposal to a two pages and send as a PDF attachment. If you have questions, please contact Jennifer Monson at 917-860-8239 or jennifer@ilandart.org. Final decisions will be announced on November 20, 2014. We hope these workshops will provide an opportunity to share your current work and interests as well as to revisit and expand upon ideas that might have been initially explored during previous iLANDing Laboratories, iLAB Residencies, and/or iLAND Symposia. iLANDing is a collaborative methodology that is constantly evolving as it is practiced. iLANDing Core Values: The exchange of knowledge through collaborative process; engagement with landscape/system or site as an active collaborator; the re-orientation of knowledge production through embodied, kinetic experience; fostering innovative connections across disciplines in order to gain new perspectives and understandings of complex systems; integration with public discourse as a means to craft and activate ethical, indeterminate practices that value the reciprocal nature of human actions and natural systems. In over ten years of iLANDing we have found that there are six components to every process that all interdisciplinary teams had to address in the process of working together. We are so happy to hear that the Ridgewood Reservoir may be saved thanks to the continued efforts of environmental activists. The Ridgewood Reservoir in Queens is an important water supply source that is one of the few remaining areas of wilderness in the NYC metropolitan area. Earlier this year the NYC Parks Department proposed to build breaches in the reservoir, building roads, and cut down numerous trees in the area. After protests and petition from local activists, as well as increasing support from government officials, NYC Park officials have decided to change their plans and protect the reservoir. You can learn more about the Ridgewood Reservoir at their activist blog here. iLAND supported iMAP (interdisciplinary Mobile Architecture Performance)/Ridgewood Reservoir with choreographer Jennifer Monson, architect Gita Nandan and landscape architect Elliott Maltby of thread collective, and composer Kenta Nagai. We’re thrilled that this incredible site will be saved! 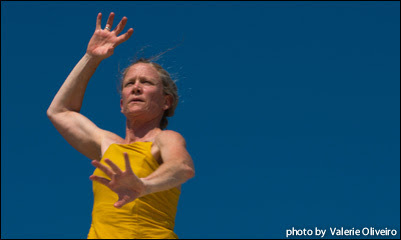 This fall Jennifer Monson will perform Live Dancing Archive at New York Live Arts. 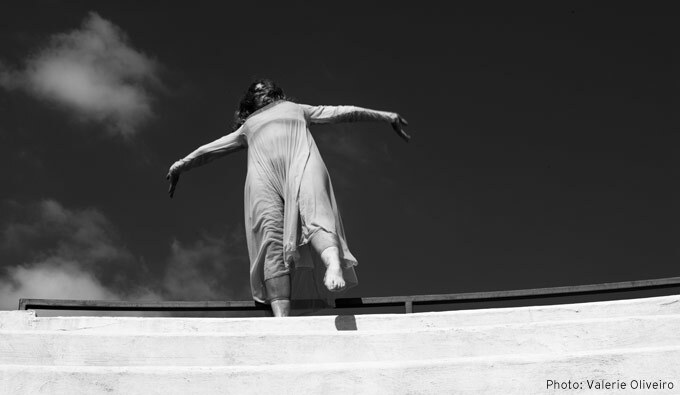 Jennifer Monson’s Live Dancing Archive is an evening-length performance featuring a visceral exploration of the dancing body as a physical archive of experience and place. 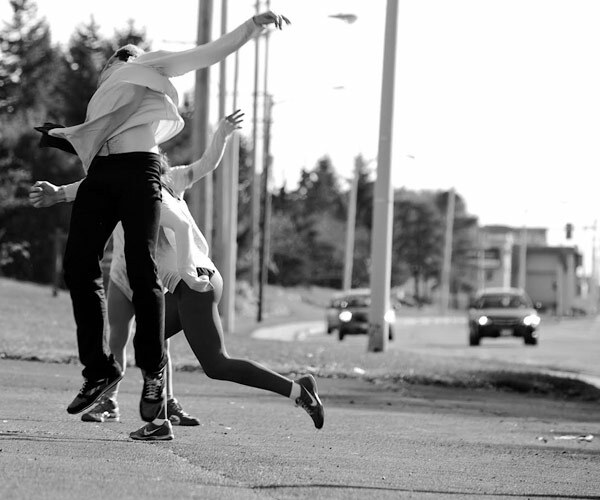 Drawing from more than a decade of dance-based environmental research, Live Dancing Archive was choreographed using material from video documentation of the BIRD BRAIN Osprey Migration (2002)—an 8-week dance project along the Atlantic Flyway—as well as improvised scores accumulated over the past decade. Originally premiered at The Kitchen in 2012 as a solo, this newly remounted iteration will expand to feature three new collaborators, Niall Jones, TatyanaTenenbaum and Valerie Oliveiro along with Monson and composer Jeff Kolar, lighting designer Joe Levasseur and costume designer Susan Becker. The project is accompanied by a video installation by Robin Vachal and a digital archive by Josephine Young Jae Bae that query the process of archiving as well as the shifting nature of dance and environmental phenomena. Wednesday October 15 at 9pm Benefit Party: Join iLAND in toasting Jennifer Monson on opening night of Live Dancing Archive. Buy tickers HERE or pay $25 at the door. Thursday October 16 at 6pm Come Early Discussion: The Body as Archive with Travis Chamberlin, Associate Curator of Performance at the New Museum. 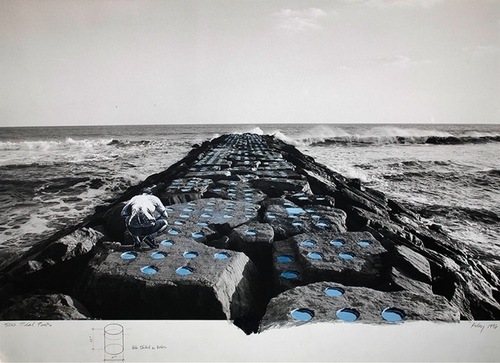 Friday October 17 Stay Late Discussion: Environment of Self in Time – Jennifer Monson in conversation with La MaMa ETC Archivist and Historian, Rachel Mattson, PhD. Beginning this summer Jennifer Monson will be partnering with LMCC’s Arts East River Waterfront to inspire the local public in the LES East River Waterfront neighborhood around Piers 42 and 35 by connecting them to artists, new ideas and perspectives, and other art-lovers to demonstrate the role that artists play in creating vibrant, sustainable communities. Building upon years of community advocacy and interest in the development of these new waterfront sites as an amenity for local residents, LMCC seeks to model arts and cultural activities that respond to the unique features of these sites, and reflect the needs, interests and history of the neighborhood –taking into account community priorities for the waterfront that range from leisure uses to resiliency planning in the wake of Super Storm Sandy. On Saturday, July 12th, thousands from throughout the metropolitan region will make their way to the waterfront for the annual City of Water Day, presented by the Metropolitan Waterfront Alliance. 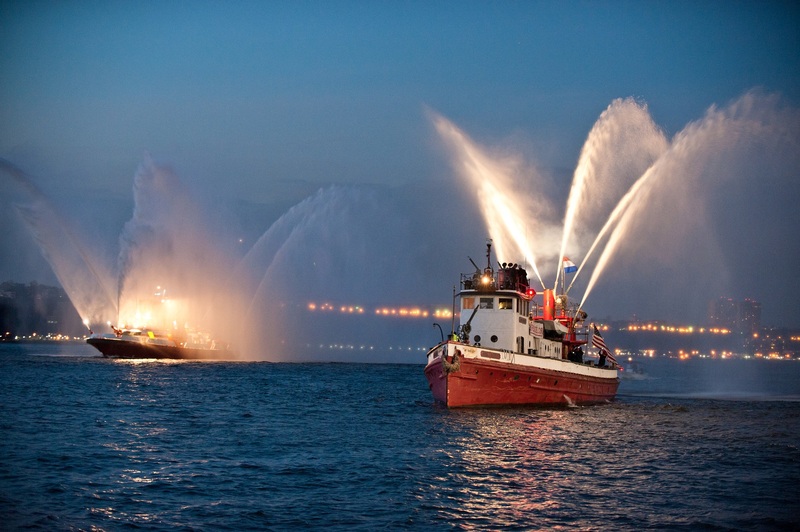 A FREE day of entertainment, education, and adventure celebrating the world-class potential of our waterfront, City of Water Day will be held in Maxwell Park, Hoboken, NJ, and Governors Island, NY. Event highlights include FREE: narrated boat tours, ferry transit between Maxwell Park and Governors Island, kayaking, paddle-boarding, Cardboard Kayak Race, fishing, the Waterfront Activity Fair, special children’s activities, live music, and more! Food vendors will sell their delicious specialties. Please visit www.cityofwaterday.org for all of the exciting details, sign up to be an exhibitor and volunteer. A fallow field is one that is plowed – it is prepared but then left open. 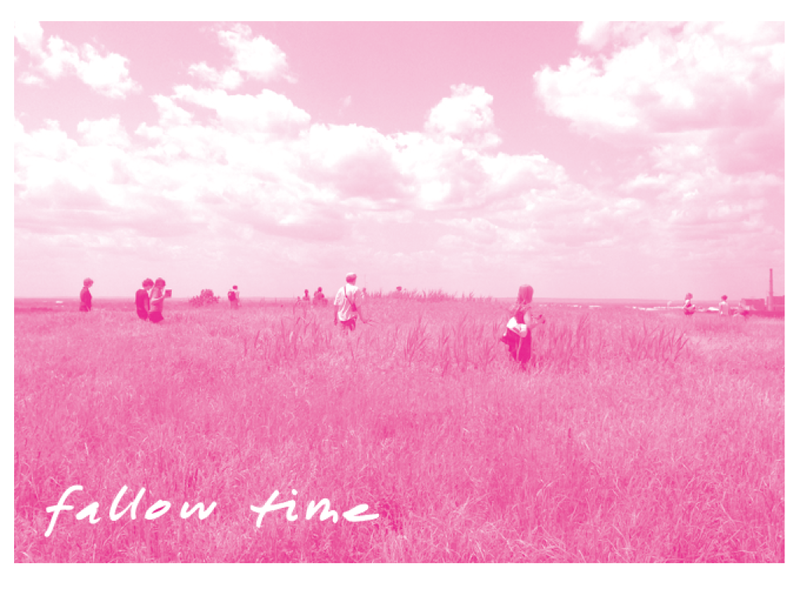 fallow time is a festival that invites emptiness or the unanticipated. The festival is prepared space and time for open action, or inaction, to take place. It creates a platform for participation, intergenerational meetings and intersectionality to support all bodies in their creative potential. We are providing time for concrete and insubstantial ideas to be tested, to take hold and grow…or fail. fallow time is a time of rest, where unexpected actions and materials make contact and allow for new forms and systems to flourish: a chance for us to be together that is not dictated by any need to produce. The festival examines both urban ecologies and artistic production in our society. Inviting the multiple meanings of sustainability to rub against a range of creative practices, we will enact scenarios for thriving in our increasingly unpredictable environment. fallow time allows us to ground ourselves and to recuperate the values that are so central to dance: the values of the body to listen, feed, touch, see, taste, deliver, heal, digest, produce, die. Through Earth, Through Body, Through Speech Join Fantastic Futures and Jason Munshi-South for the workshop and per formance listed below, a continuation of their summer 2013 iLAB residency in Flushing Meadows Corona Park and Willets Point. The collaboration uses a cross-pollination of ar tistic practice and scientific method to engage the local community in a conversation around personal and family histories of the park and their visions of the park’s future. Meet at the north end of the Unisphere. Rain or Shine. A light informal lunch will be provided. Activities are appropriate for all ages. In the Queens Museum of Art A multi-channel sound installation and per formance that represents the scientific concept of an urban to rural gradient. Field recordings of the park are layered with interviews in which visitors are asked to express their memories and hopes for the park, and with a spoken narrative from a mouse’s perspective based on urban landscape genetics. participants in both workshop and performance: Fantastic Futures (Julio Hernandez, Huong Ngo, Phuong Nguyen, Solgil Oh, Sable Elyse, Or Zubalsky) and Jason Munshi-South. For additional information for Tuesday’s events, email info@ilandart.org or call 917-860-8239. Two nights of camping for up to 30 people. Open time to engage with the littoral edge of New York City. 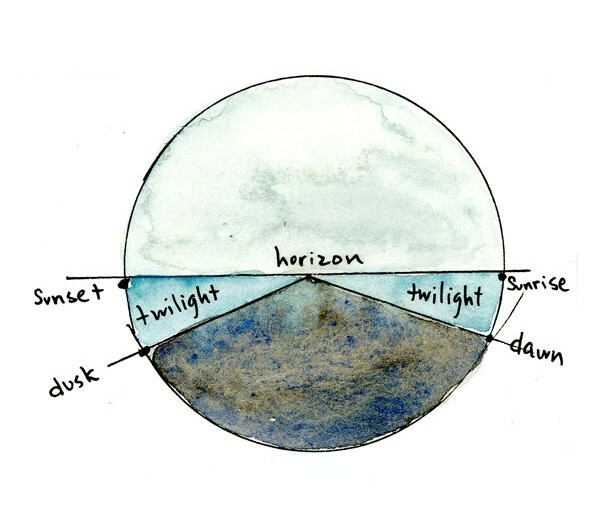 Dawn walks, star gazing and gentle research activities. This is restorative time. Tent, sleeping bag and food required for those staying the night. Public Transportation: Take the 2 or 5 train to Flatbush Ave / Brooklyn College. Transfer to the Q35 bus south to Floyd Bennett Field. The bus ride takes about 15 minutes. Floyd Bennett Field is also easily accessible by bike and car. RSVP required for those staying the night. For details, please contact info@ilandart.org. A talk and walk exploring the dual perspective of the artist-scientist. Visual, aural, and kinesthetic modes in science and art will be explored by par ticipants who have experience as both scientists and artists. The first hour will be dedicated to discussing the participants’ understanding of the intersection of these seemingly discrete disciplines and the impact of this dual perspective on their current practices. Following the talk, each participant will lead a section of a walk to the Brooklyn waterfront, reading the landscape through their par ticular lens. Moderator Jennifer Monson will draw upon her own work, and the insight of 10 years of iLAB residencies, which have developed novel ways of examining New York City’s urban environment. 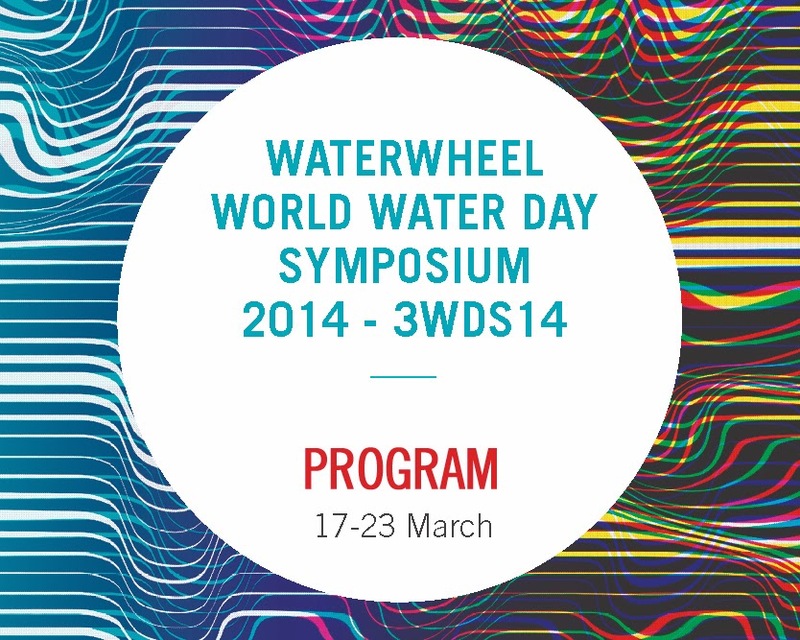 Join our friends at the Waterwheel for the 4th annual World Water Day Symposium this weekend! The theme revolves around water, how water embodies extremes and contrasts: oceanic depth or shallow rivulet, transparent or opaque, flowing or still. Water cycles through the living systems of the planet: water bodies, life forms, atmosphere. This symposium has been exploring questions about how we are living, and will continue to live, with water and its contrasts. The symposium has locations around the world and is streamed free online. Check it out HERE. The event has 15 live nodes, in Brisbane, San Francisco, New York, LA, Buenos Aires, Tunis, Berlin, Coburg, Poznan, Torun, Paris, Syracuse, Athens, Hydra and Cairns, all streamed online. 300 scientists, artists, academics, engineers, activists, and others have presented papers, panels, performances, and presentations. Tomorrow there will be musical performances and presentations from Australia, India, Chile, France from 12-3pm and performances and presentations from Montreal, Australia, China, India, and closing statements from 3-8pm. 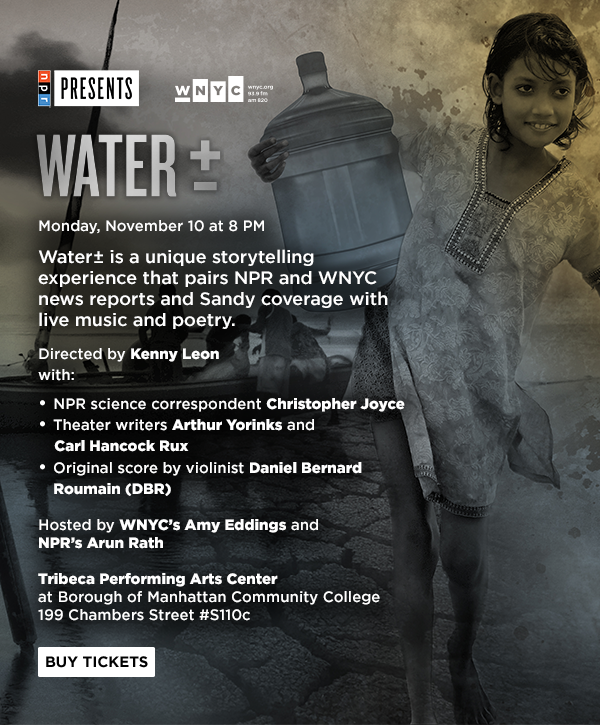 We hope you’ll join us in exploring questions about how we are living, and will continue to live with water. 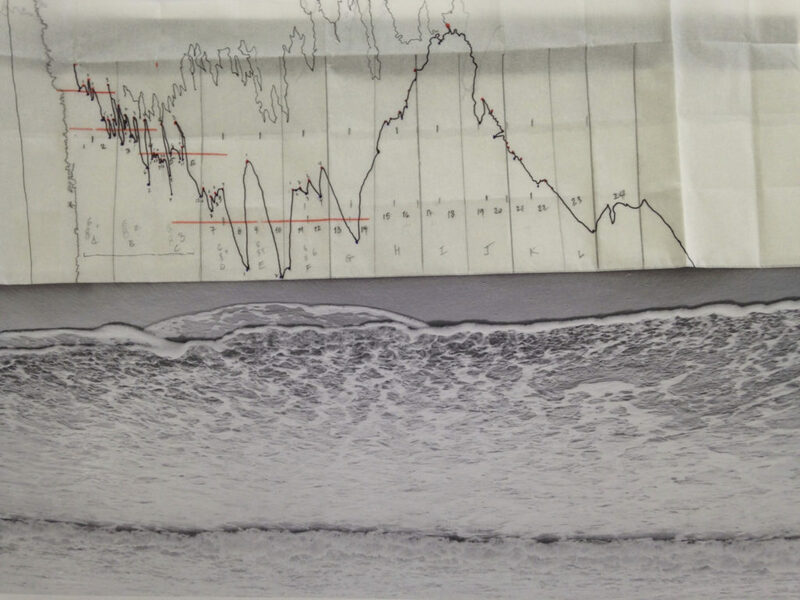 In celebration of iLAND’s 10th anniversary, the 2014 iLAB residency will take on an experimental format as a series of workshops/laboratories designed by members of the iLAND community. These workshops are focused forums and platforms for a reflective, advanced discourse on ideas about urban ecologies, kinesthetic experience, and new approaches to interdisciplinary creative processes as cultivated throughout 8 years of the iLAB Residency Program.All of these programs are FREE and open to the general public. However, some events have limited space and so we ask you RSVP to info@ilandart.org to reserve a spot. For all other programs reservations are encouraged, but not required. We are excited to share these workshops with you and hope to see you at an event this spring! Funding for the 2014 iLANDing Laboratory Series is provided with support from NYC Department of Cultural Affairs, the Robison Foundation and private individuals. As the year comes to a close, we move into our second decade of creative, collaborative, interdisciplinary research of New York City ecologies. With the evolution of iLAND, we will continue to experiment with new forms, practices and methods between dance and other disciplines. 2014 marks a change in the iLAB residency program. In an effort to deepen the ongoing work developed over the past 8 years, we have asked past iLAB residents and community members to propose a new series of laboratories, which will be launched in the New Year. They are intensive, focused and available for all to attend! This year we are also excited to announce iLAND’s role as part of the curatorial team for the Movement Spring Festival, which will focus on a critical examination of Sustainability in our community and beyond. The iLAND symposium will be a part of this exciting series of events in May 2014. As we look back on 2013, we celebrate the presentation of Live Dancing Archive in NYC, Illinois and its inclusion in the Performance Archiving Performance Exhibit at the New Museum as well as the continued evolution of iLANDing through retreats at Earthdance, SMU/Taos and various workshops throughout New York City. We are thrilled to have worked with Fantastic Futures and Jason Munshi South in this year’s iLAB residency – Through Body, Through Earth, Through Speech. Next year along side of the Laboratories, Artistic Director Jennifer Monson will continue to develop her new project, in tow. 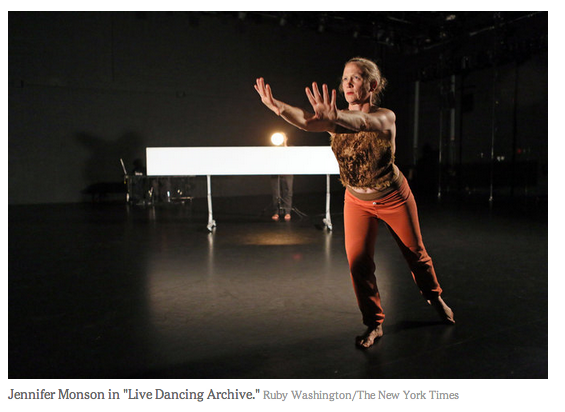 Live Dancing Archive will also be performed again at New York Live Arts in the Fall 2014. As the year closes, we would like to take this opportunity to ask for your financial support of our activities. Most of our events are free to the public so we depend on donations from people like you to keep our programs growing. To donate to iLAND, please click HERE! We are incredibly grateful for all of the support, creativity, and collaboration you have shared with iLAND in our first decade and we look forward where the next decade will take us!